INDUSTRIAL AXLES : Bear's Performance Parts, Gettin You Hooked Up! Bear’s Industrial Axles is a division of Bear’s Performance Inc. Bear’s Performance has been an industry leader in chassis, suspension and driveline components since 1981 and is Canada’s distributor for Strange Engineering. We have been supplying Industrial Axles for Off-Highway and OEM applications since 2007. At Bear’s we strive to provide our customers the very best quality with the best service at a competitive price. Our Industrial Axle division specializes in providing custom axle and driveline assemblies and components for specialized off-highway applications. From design to final assembly we are able to provide exactly what the customer requires. We use the latest in design software and through our extensive machining capabilities we are able to produce most components in-house. This not only ensures the highest quality but controls costs and availability. 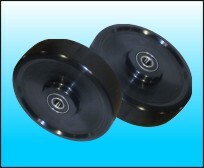 This also allows us to make any modifications required to components very quickly and cost effectively. Our current product range includes rear drive axles (full float and semi-float), front drive axles, front steer axles, front and rear Independent axles and drive shafts. We can design from any number of platforms; Dana 60, Dana 44, Dana 44 Independent, 9” Ford and 12 Bolt Chev. For electric vehicles we can adapt your drive motor in virtually any design. Axle assemblies range from light duty (up to 2500 lbs) to Heavy Duty applications up to 7,000+ lbs. with disc or drum brake options. 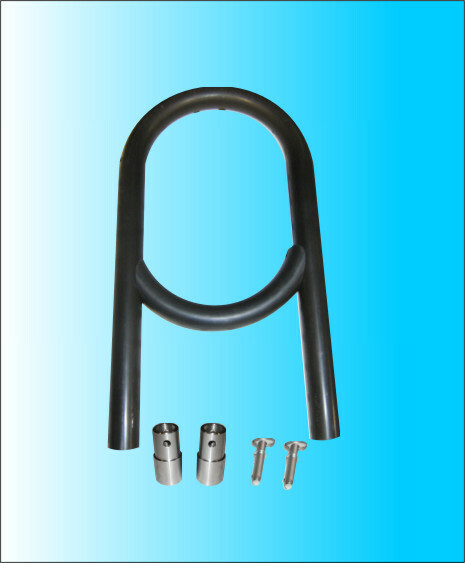 If you require only certain components to complete your project we offer all components separately. We try and utilize as many standard internal components (gears, bearings, seals) as possible to allow easier in-field service worldwide. If you wish further information on any of these products or wish a quote please contact our sales team, info@bearsperformance.com or 519-737-9333.